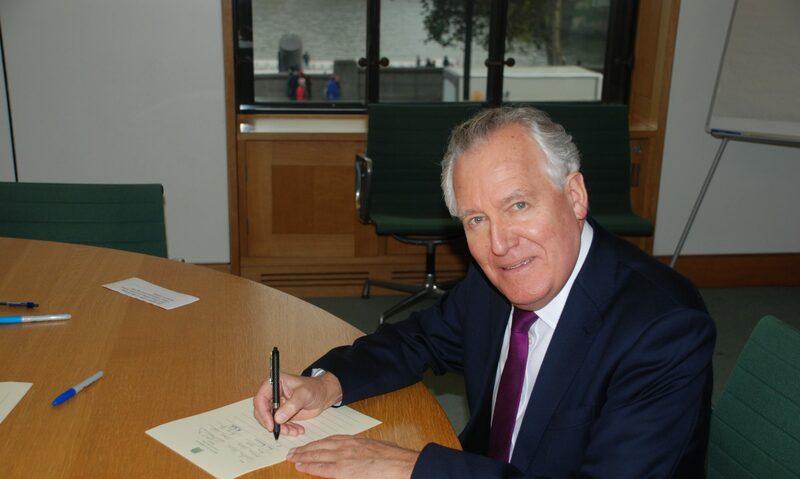 Peter Hain has joined a cross party group of other MP’s including the former Foreign Secretary Jack Straw, who are campaigning in a move to see Palestine recognised as an independent state by the United Nations General Assembly due on September 27th. Peter is an ardent supporter of a peace process where Israeli and Palestinian needs are addressed with equal measure, and a settlement is reached. With a long standing record of working in politically divided nations such as Northern Ireland and South Africa under the apartheid, Mr Hain has with personal impetus witnessed the outcome of negotiations and peace settlements. The parliamentary motion EDM 502 on UN Recognition of Palestine was tabled on Tuesday 11th of September and already has 64 signatures. More are expected to sign before Parliament goes back into recess next Tuesday. It was conceived by Labour MP for Birmingham Northfields Richard Burden, and is designed to persuade the Foreign Secretary, William Hague, to back the motion for Palestinian statehood. Labour leader Ed Miliband has already declared that he will support statehood for the Palestinians at the UN and there is widespread support among Liberal Democrat MPs. Whilst Northern Ireland Secretary (2005-2007), Peter was instrumental in creating lasting political working relationships, which would pave the way to the decommissioning of the IRA’s armoury and military campaign. He worked ceaselessly with both factions and found common ground through which both interests were represented.